Vikedal is a small and beautiful village in the middle of the Norwegian fjords close to Haugesund, Stavanger and Bergen (map: http://g.co/maps/vwb63 ). Closest airports is Haugesund (1 hour car) and Stavanger (3 hours). 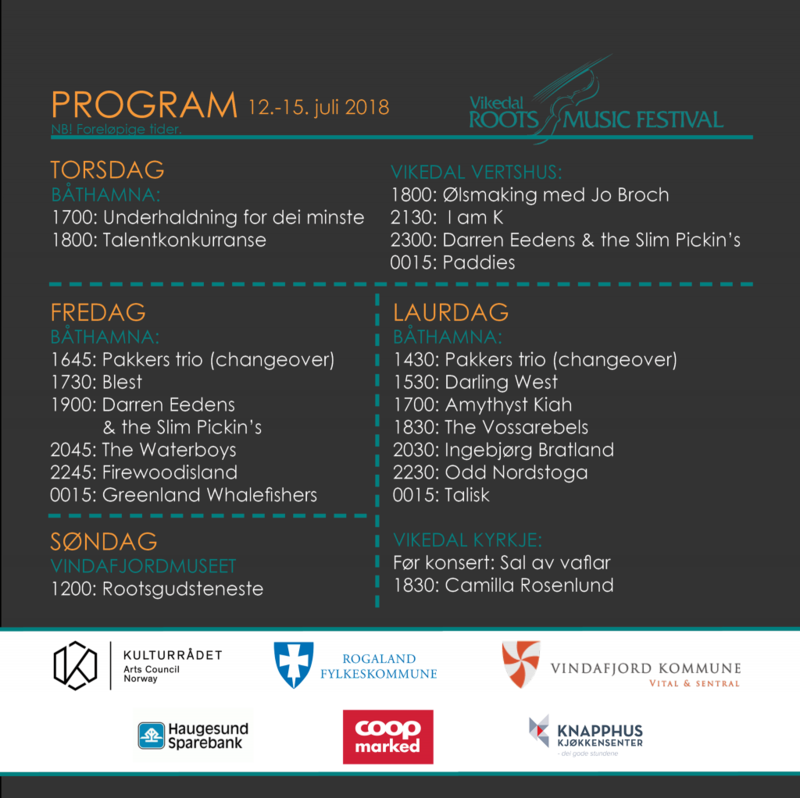 Vikedal Roots Music Festival is a very well reputated festival, and the biggest rootsfestival in western Norway. Their main concerts are held inside a tent on a 1000 m2 size. 15 conserts are held during 3 days. The festival is supported by the Norwegian culture council. The tickets will be for sale in may. Ticketprices is usually ca NOK 690 for one day and NOK 990 for all day pass.